Disruptive technologies, like cloud computing, big data and open source software, demand new technology skill sets. Changes in the way we do things in government are also creating new challenges. For example, departments are embracing Digital by Default and Government as a Platform, while some are building and managing technology services themselves, rather than outsourcing them. Mike Bracken spoke recently about the importance of bringing the Internet’s brightest and best technologists in to government to transform digital services. The Recruitment and Skills team in the Government Digital Service (GDS) is helping departments find the right people with the right skills. The first step to any skills transformation is identifying the skills required to meet these new demands. To that end, we have created a Digital & Technology Skills and Learning Matrix. The matrix categorises over 350 specialist skills into 18 groups. The skills matrix considers activities across both front-end digital and back-end technology. It covers areas from development and user research to technical architecture and operations management. Future transformation activities, such as skills assessments, development plans and talent management strategies, can be built on these skill sets. The matrix can be used to make sure digital and technology specialists have user needs in mind and are positioned for success. Creating the matrix has taken many months of piloting and iteration. We have researched user needs and welcomed input from subject matter experts & many government departments. 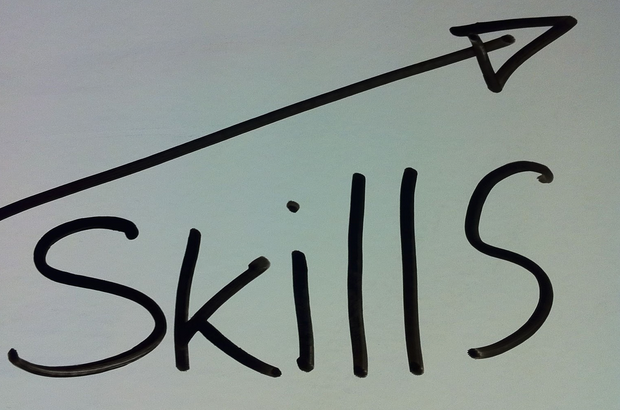 The skills team at GDS are due to publish the matrix on GOV.UK at the end of February. It will be accessible to all as an important tool for individuals, HR departments and transformation teams to assess and improve capability. With the right tools and insight, this skills challenge can become an opportunity for innovation and positive change. Our future blogs posts will explain more details of the skills matrix and how to apply it to your transformation challenges. Fabulous seeing this coming to life Tom after all the work you have put in. Myself and The National Archives team are looking forward to becoming an early adopter and using this as part of our Skills Assessment later this month!! Thanks, Rachel. It's a great tool for the 'digital transformation' toolbox. It will support your further transformation activities post-skills assessment as well, such as enabling digital talent management by helping to identify high-potentials, establish career pathways and strengthen digital leadership skills. I've been running a small project for a while here at Land Registry looking at a digital skills matrix for our IT staff along with the ability to measure skills gaps and forecast training needs. I'm very interested to see what you have put together as it may fit nicely with what we're trying to do here. Good to see something official out there now. Here in DWP IT we have a skills assessment tool hosting various professional frameworks, reporting skills gaps and tracking expertise to inform resourcing. The new matrix will allow an extension of this but will need some extra configuration and detail to define levels of expertise and descriptors to go with them. A very useful contribution and something we can use to augment the SFIA framework for IT professionals. Hi - I work for a Non Departmental Public Body and I am trying to use the GDS Skills and Technology Matrix to create a new skills assessment - one that encompasses all the new skills. It would be great to talk to someone who has embarked on this journey. Is there anyone who is available?